XGUARD DPC-08 XGUARD DPC-08 is a serial monitoring dispatcher for alarm systems with a digital communicator included, for 2 phone lines (with the possibility of extension to 6), 2000 event memory, line break detection and communication with the computer, identification of the alarm system caller, display events on a liquid crystal display; self-catering 220Vca, max. 400mA. 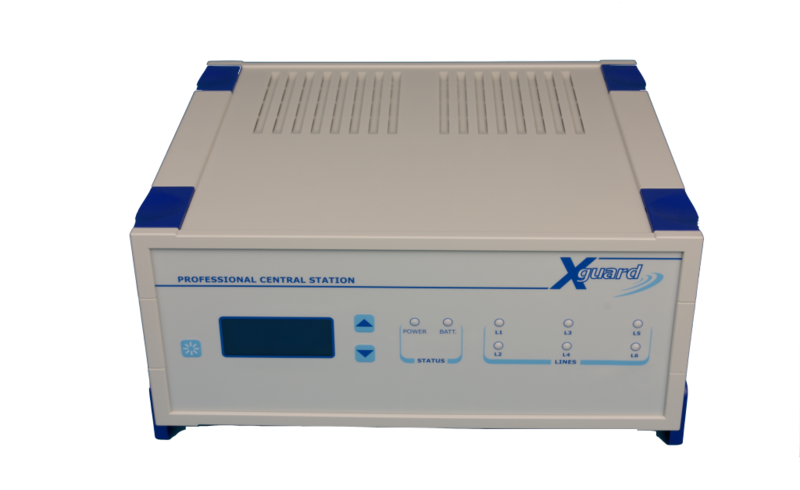 XGuardSOFT high-level software (installation kit) on the WINDOWS 2000 / XP / 2003 platform, with SQL-FREE database; the XGuardSOFT program also integrates events that are received via Ethernet and / or GSM-GPRS, with a common data base. The delivery of the software is done with the dispatcher. YOU ARE INTERESTED TO PURCHASE THIS PRODUCT?